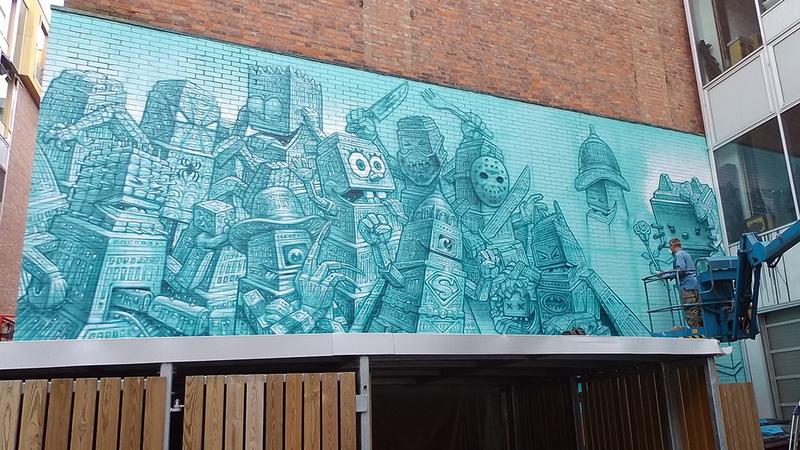 So it's been just over a month since Leicester's 'Bring The Paint' street art festival organised by CQA alongside Graff HQ/Inspirate and MONO. It was such a great and inspiring weekend that I wanted to share some of my photos and thoughts on the event. Even though the majority of work I do these days is digital I have always loved traditional art forms and have been fascinated with street art since I was a teenager. That is why for 2017 I made it one of my goals to "Learn to Spray Paint". So it was very exciting to have the street art festival right on the doorstep of my studio space. It has brought some much-needed creativity and life into Leicester's Cultural Quarter. 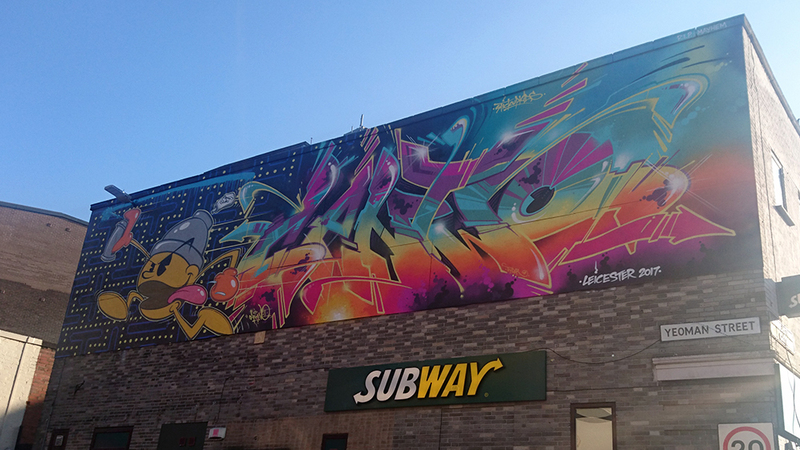 The week running up to the event was great with artists working on huge pieces across the area. Just having a stroll on my lunch break meant I could see these super talented artists doing what they do best. Being able to meet and chat to them as they worked was great bonus too. The day itself brought the Cultural Quarter alive in a way I have never seen before. The streets were full, there was music, a pop-up skate ramp, and people were painting all over. The LCB Depot was jam-packed with DJ's providing music throughout the day and delicious street food stalls. Below are some of my snaps from the week including some of my favourite pieces. It was so much fun collaborating with him and gave me the confidence to do some more. 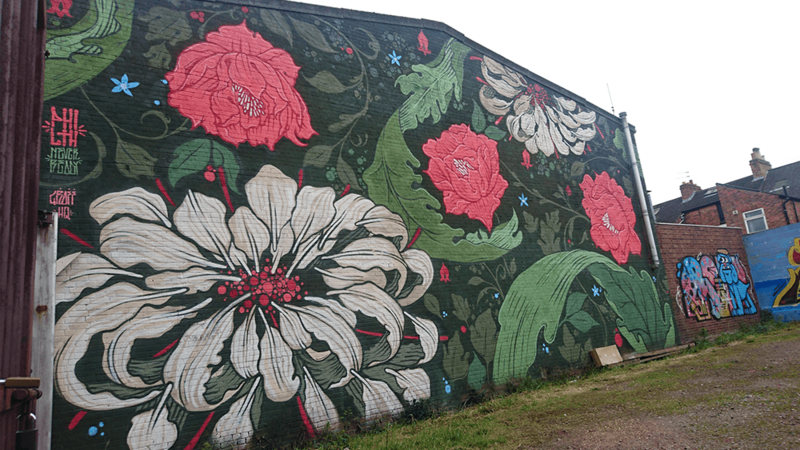 A few weeks later we created a large piece together for the Nottingham Street Art exhibition at The Surface Gallery. There are so many things I want to learn and I'm hoping to continue making art in our garden this summer :) Watch this space!